I was watching this movie gladiator, I love it X3, eventhough already I've seen many times, I still love. You Too Furrychrome! X3 If I Want To Be A Gladiator Then I Can Slay The Dragon! 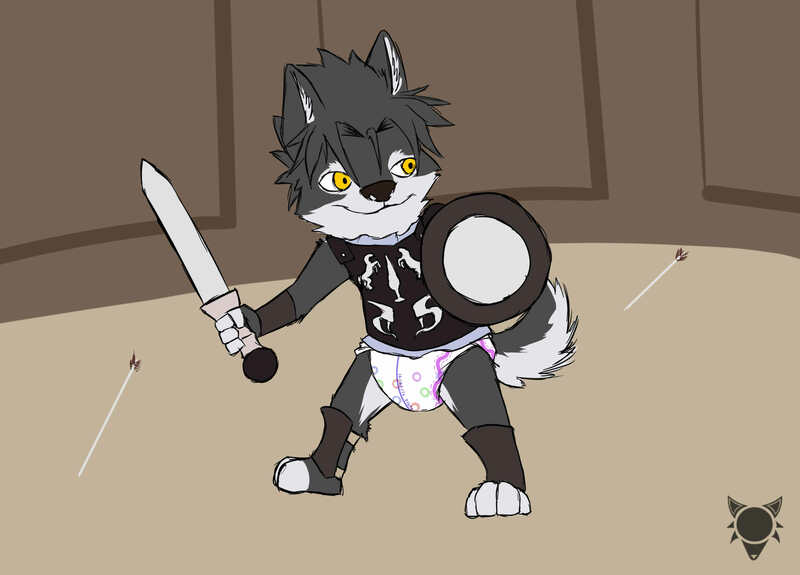 I guess most gladiators would be fighting for their freedom, but you're fighting for a dry diaper to change into. An epic fight to the death to prevent diaper rash.I'd totally see that movie.